My friend Mary was once a Rolling Stones groupie. In the early 1970's, she dated someone in their entourage and followed them all over the world to their concerts. I hadn't known Mary back in the day, but when the Rolling Stones came to Atlanta - it must have been in the 1990's - Mary was given 50 tickets and invited friends first to a reception and then to the concert at Georgia Tech's Grant Field. It was a great spectacle, for sure. I had seen the Beatles at the Atlanta-Fulton County stadium on August 18, 1965, so I felt I had now seen two of the biggest bands ever (for my generation, at least). One of the Rolling Stones songs I always liked was You Can't Always Get What You Want. Although all the lyrics never made sense to me, I would often call up the title, sort of jokingly, when I knew something was impossibly out of reach. When I was traveling for A Gardener's Diary on Home & Garden Television, one of the things I would inevitably do was compare what we could and couldn't grow in Atlanta vs. wherever I was scouting. For example, I visited a gardener outside Madison, Wisconsin. The hill around her house was covered in spectacular flowers. Among the showiest was the gas plant (what a name for such pretty flowers). She had mostly the white form, as I recall. This is a difficult perennial to establish, but, as far as I know, it is almost impossible to grow here where summer nights are warm. I came home a bit deflated, having seen so many wonderful things in her garden that wouldn't survive the Georgia heat and humidity. The funny thing is that she had a little area - mind you, her garden was on the open prairie - where she was trying to grow Eastern shade plants with very limited success. Everything she had in that garden would have been a cinch to grow here. So, that was an example of both of us wanting what we could not have. She said she had killed so many of the Eastern U.S. natives that she was about to give up. Pictured above is Campanula medium (Canterbury bells). The lanes and paths at Giverny in France were lined with them in all different colors when I was there last June. The effect was charming. While I was walking along, I thought of the Rolling Stones song. I had tried to grow these a long time ago, but they could not tolerate our climate. Gardeners are often faced with such frustrations. When I was a young bride, I went crazy and ordered things from Michigan that didn't have a prayer in Georgia. I planted some lupines, for example, and by the next afternoon they had melted so quickly that I couldn't even tell where they had been. I am doing better at appreciating what we can grow instead of what we can't. I admit, though, when I see flowers like those Canterbury bells or gorgeous lilacs so common up north, the old refrain comes back. What I need to do is make a list of things like Magnolia grandiflora that people in cold climates would love to have. 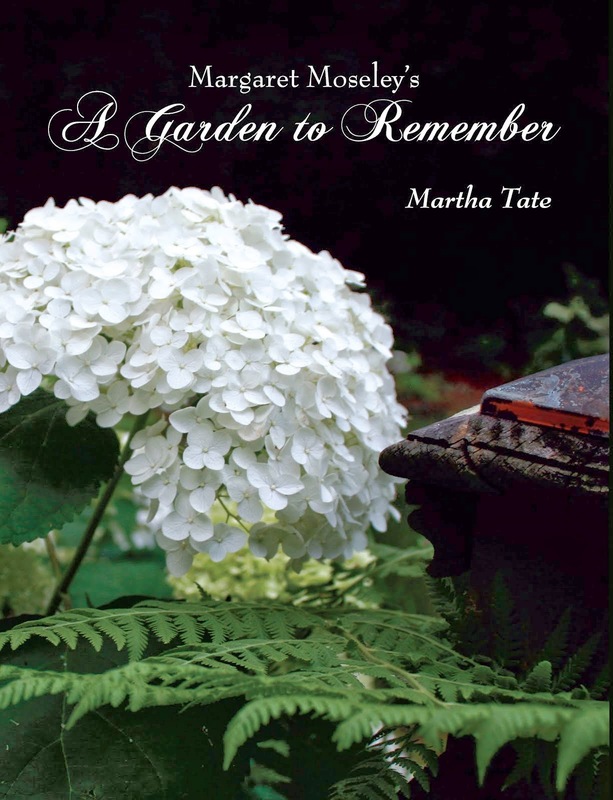 And, I remember my friend in Michigan fussing over a sickly mophead hydrangea that was likely doomed in her garden. Indeed, we can't always get what we want, but we do have a lot of plants, wherever we live, to be thankful we can grow. Saw a pot of the campanula in full bloom yesterday here in nursery in Louisiana. Was tempting, but I knew it would only last a couple of months until the heat hit. I figure I've buried a small fortune in similar attempts. I envy you your ability to grow rhododendrons. If we were just a little further north.... But, hey, camellias make up for a LOT. You're right, Debbie, camellias - especially the way you can grow them in Louisiana - make up for a lot. Not that rhododendrons are all that successful here in Atlanta, but some people have them for decades. For me, no such luck. Two that work here are 'Anna Rose Whitney' and 'Roseum Elegans'. You've perfecctly described the path of a southern gardener, always striving for something that isn't going to work. How many years did it take me to learn that bloom times are different in the South? Sometimes I long for peonies and lilacs from home (Rome) and placate myself with a visit to my Camellias and Spanish moss-draped Live Oaks. Imagine my frustration this week when a tulip leaf turned up in a bed where I tried to grow tulips years ago. Was it just to remind me what a difficult process it is, or to encourage one more trail before I die?